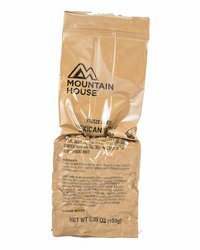 Mountain House Mexican Rice and Chicken MCW  - $11.00 : Trail Explorers Outpost, Keeping the Adventure Alive! Made with rice beans and pieces of real chicken, with tomato, peppers and olives. A hearty, spicy meal made for elite soldiers in extreme conditions. 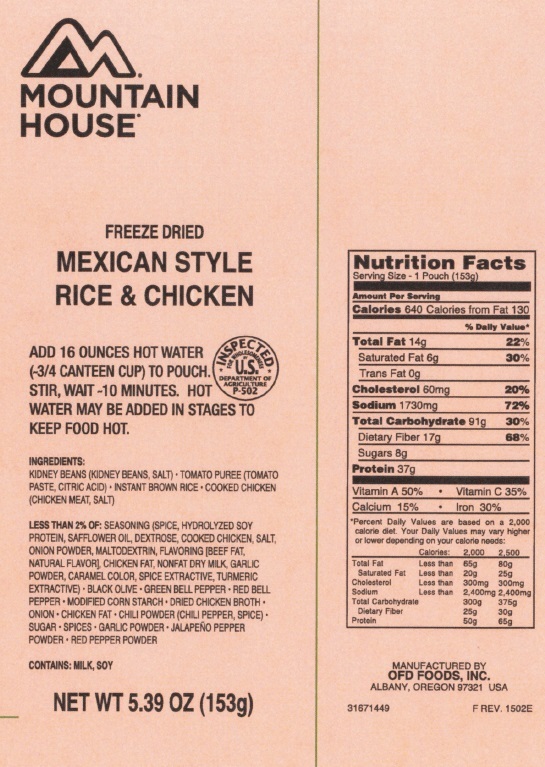 This Meal-Cold Weather entree contains 640 calories and 37 grams of protein.